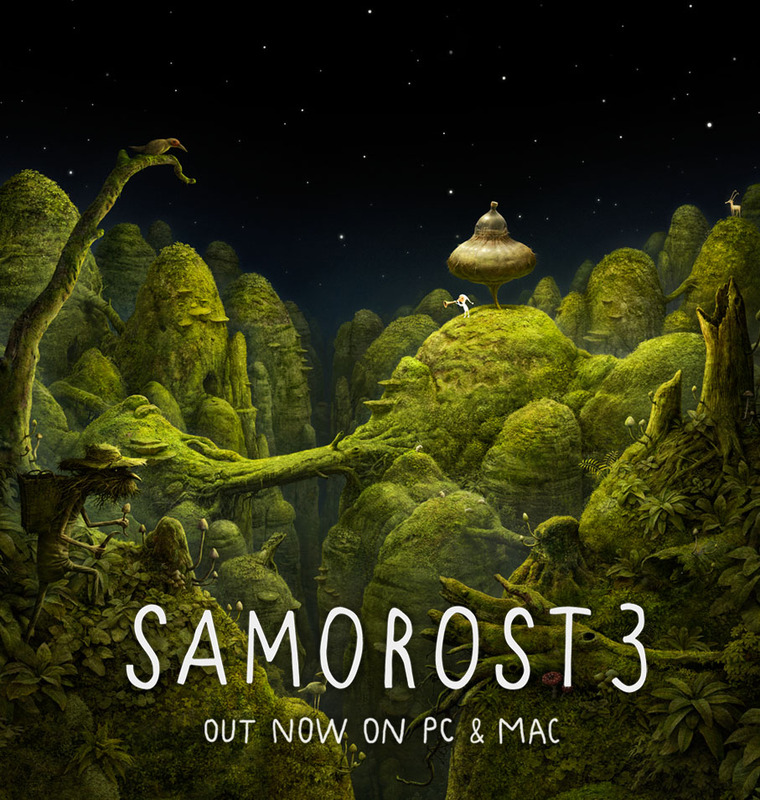 News: Samorost 3 is released on Windows PC & Mac! Amanita Design forum > Samorost > Samorost 3 > News: Samorost 3 is released on Windows PC & Mac! Samorost 3 is finally out after five years of development. The game is available for $19.99 through various stores, most importantly on our own official website samorost3.net. Samorost 3 Cosmic Edition - containing the full game, 90-minute original soundtrack by Floex (MP3 and FLAC) and 170-page digital art book (PDF) featuring design drawings from Jakub Dvorský – is also available for $24.99. In both versions you'll find download links for Windows and Mac files and a Steam Key. Visit samorost3.net for more info. Re: News: Samorost 3 is released on Windows PC & Mac! What is the difference between Mobile version and PC version? Price?